Although there are thousands of consumer mobile applications available now, there are far fewer mobile enterprise apps in use today. New powerful mobile platforms, from the iPad to Android devices, have enabled new avenues for Mobile Application Development for healthcare applications. Capturing data from patient services, such as comprehensive assessments by skilled nursing professionals, can be performed on-site using healthcare mobile applications. So how far has healthcare mobile application development progressed for an electronic medical records? How have regulatory and technical challenges impacted development of a fully functional EMR application to run on a mobile device? Development of a complete EMR application for mobile cell phones is faced with several limitations, although tablet computers that use mobile operating systems present new possibilities. A web based EMR application may be accessed through a browser on a mobile device, but typically lacks the user friendliness compared to accessing the EMR application over a laptop or desktop computer browser. It’s possible to reproduce the user experience of the EMR application on an iPad or Android device, but there are many security, user experience and technical limitations that govern the development of a full performance mobile EMR application. Form factor – small display sizes on a cell phone make it difficult to present healthcare forms and user interfaces without scrolling through numerous pages. Limited processing power of a mobile phone limits processing of large amounts of data. Though web based EMR applications can be accessed through mobile devices, synchronization is still a problem. Mobile devices typically lack sufficient memory for caching. Keeping these technical parameters in mind, it is possible to develop an EMR application extension that runs on a mobile device. This EMR application may not be a standalone healthcare application, but would be an interface to the full EMR application. The mobile EMR application may expose only certain modules of the healthcare application to the mobile user, such as patient demographic or schedule information. Some areas of the EMR application, such as the plan of care, can also be exposed through the mobile interfaces. Depending on the mobile device, programming languages from Objective C for the iPhone, Java for Android devices, or .NET for Windows Phone 7 may be used to develop a mobile EMR application. Each device and programming language has a mixture of advantages and disadvantages. For example, mobile application development on J2ME (Android development) provides mobile based application presence on a variety of devices. 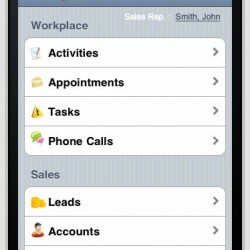 iPhone application development is highly popular, but does not run Adobe Flash or Microsoft Silverlight. A recently reinvigorated competitor, Windows mobile application development will be on Nokia smartphones and may offer new options for business oriented developers. In short, development of a mobile EMR application is feasible, but to implement one entirely may not be feasible for current phones. A mobile based application may be implemented as an extension for an enterprise EMR solution where the user can access some but not all features. The pharmaceutical industry has experienced a major surge in the past couple of years, and many believe it is thanks, in part, to mobile technology. Pharmaceutical mobile technology aides personnel and researchers more easily access protocols, as well as guidelines and other vital training materials. Ultimately leading to more growth in revenue. View more here.